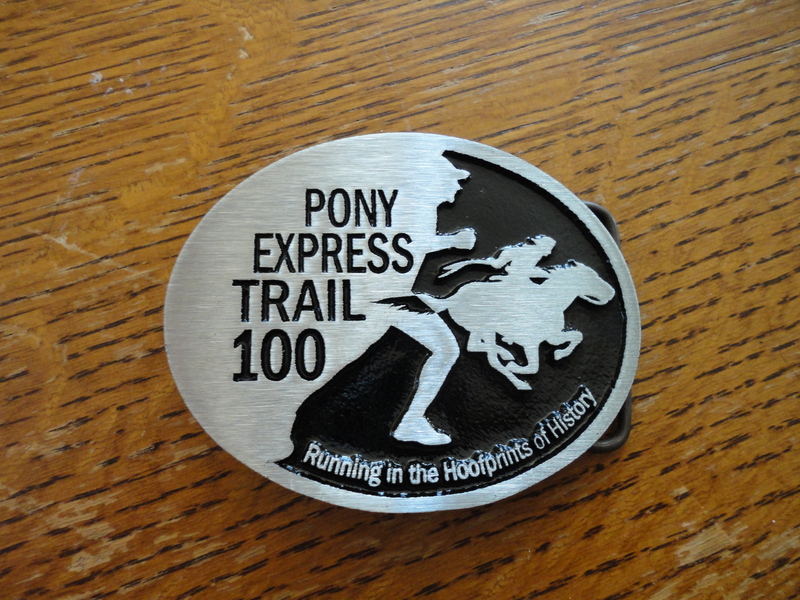 Pony Express 100 was my last race for 2014. I took three full days of rest and then started back with swimming and cycling. Even when I started back up, I watched that my heart rate was not higher than it should be (which would indicate I was not recovered) and that I didn’t feel worn out afterward. 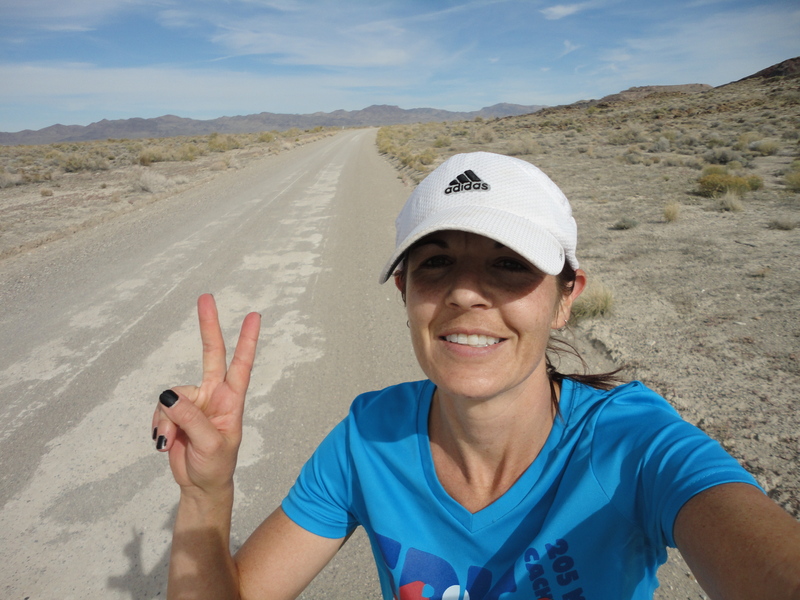 I returned to running on Friday a week after Pony Express. 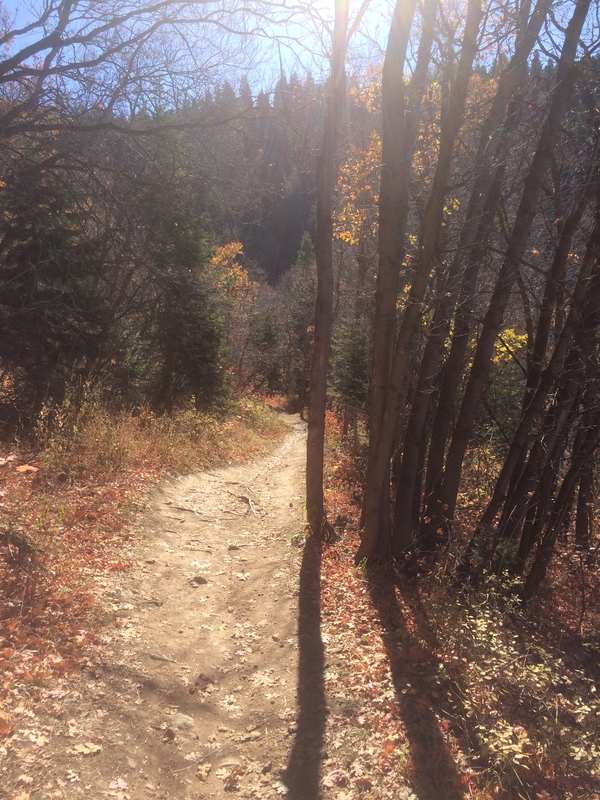 It felt amazing to get out on the trails with the autumn leaves carpeting the single track and the cool air tugging at my hair. So what’s next you ask. Of course, I have been planning 2015 for about a month. I am always looking for that next challenge. Finding new races and encouraging my friends to join in gives me something to look forward to on those mornings when I’d rather say in bed especially through the dark cold winter months. As usual, I have big plans. Finding races and training for them is the easy part. Paying for them all is the hard part. In March, there is an event in Moab, Utah, that has something for everyone. They have a 6 hour night run (do as much as you can in six hours), a 24 hour run, a 50k, a 50 mile, a 100 mile, and a relay option. I love these types of events because it means I can pull in all my friends who are at different levels of fitness. Next on the schedule is the St. George half Ironman at the beginning of May, which will give me a good read on how my bike training is working out. 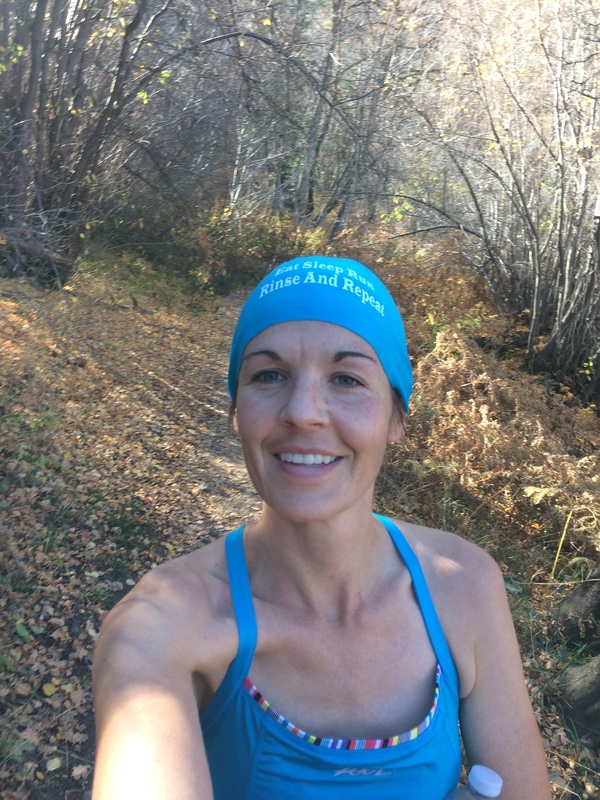 In the end of May is Ogden Marathon, which I am running to support two of my friends who will be completing it as their first marathon. My only goal is to get them across that finish line with a smile. The end of June is the Coeur d’ Alene Ironman, which will be the first goal race of the year. I can’t leave Red Rock Relay out of the plans, it is such a great time every year and getting away with my team is always interesting and a ton of fun. The second one will be the Bear 100 in late September. If I recover well from that, I may go for a sub 24 at Pony Express. Have you started thinking about next year? J$ and I planned to cycle on Saturday morning at 9:00 am. He had bowed out of swimming Friday morning at 5:30 am and trail running at 1:00 Friday due to unforeseeable family circumstances. I enjoy training with J$, but him not showing up is not enough to stop me from training. So, I swam and ran Friday and had a wonderful time. But the Saturday ride was another adventure all together, oh I still rode don’t worry about that, it just took a lot more oomph to put rubber to the road. J$ showed up at my house at 9:00. We were going to the island to ride since there was construction along our usual route. Neither one of us has our bike rack’s on our car. We tried to put mine on, which required resizing it to the new car. After a half hour of messing with it, we opted for just trying to fit both bikes into my car. It’s a four door Honda Civic. I lowered the back seat and slid my bike right in. We tried to put J$’s bike in the same way. We wiggled it, forced a little, pushed on the seat, it was not going in. The handlebars were about three inches too far outside the trunk. Getting it out was just as much fun. We decided to try to slide it into the back seat of my car. It fit and we were off to the island. It was 10:20 a.m. when we reached the parking lot outside the gatehouse to the causeway. We got the bikes unloaded, but then I couldn’t find my bike shoes. I can’t ride without them because they clip into my peddles. I remembered shaking them out making sure there were no spiders in them and setting them on the kitchen table (J$ had watched a news feature about the increase in the black widow population so we were on high spidy alert). We decided he would wait with the bikes while I drove back to the house and got my shoes. I took a different route back to the house with a faster speed limit so J$ wasn’t standing in the sun forever waiting. When I got to the house, I couldn’t find my shoes. I searched the garage, the kitchen, living room, and my bedroom. I looked all around my yard and even went downstairs although I hadn’t gone down there that morning and knew they could be there. I searched my car. I had both boys helping me search. After I went through the whole house, I text J$ and his phone went off in his bag sitting on my kitchen table. I searched again, and again. Nothing. Where in the world could they have gone? Seriously. I was willing to do anything at this point because J$ was waiting. I peered through the window of J$’s car. There they were on the front passenger seat. I ran back into the house and dumped J$’s bag out on my bed, if he didn’t take the phone (really who doesn’t take their phone! ), he probably didn’t have his keys with him. There it was all shiny staring back up at me, I squealed with glee (no not really, but that’s how I felt) and grabbed the key running back to his car. I got my shoes jumped in my car and drove back to the island on the faster roads. When I got there, J$ was no where to be seen. I walked over to the picnic tables and restrooms thinking he probably wanted out of the sun. Nope. I walked back over to my car. That’s when I saw it, the J$ trail marker. I found my bike hidden behind a trailer. There were only two places J$ could have gone, back to my house or onto the island. I called Jazz tell him the situation and told him to have J$ call me if he showed up there, but that I was going out onto the island. It’s like 11:30 by the time I get on my bike and start peddling along the causeway. Three miles in the wind picks up, cross wind not a head wind, (appreciate the little things). The bugs got bad a mile after that to the point where I had to ride with my mouth closed or be ok with eating bugs. At the end of the causeway my phone rang (because I carry my phone!). It’s J$, he went back to my house because he thought something happened to me or my boys. 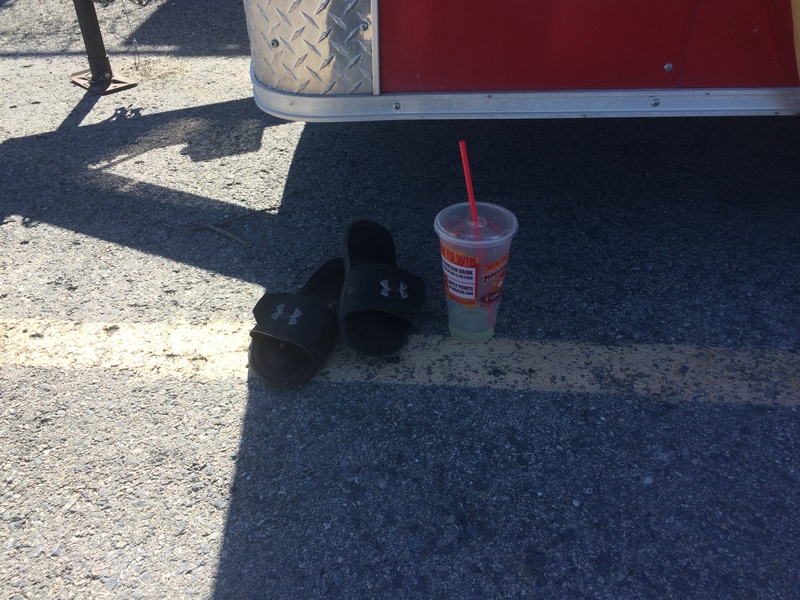 He apologized profusely for the shoes being in his car. We usually take his car, so I think he just put them in there without thinking about it much. I finished the short loop around the island and then back through the wind and bugs along the causeway. Twenty miles in an hour and ten minutes, not too bad. Some days it’s just hard to get out the door. Everything and everyone throws up barriers. You have a ton of things to get done and the first thing on the list becomes more complicated at each turn. This is mental training in disguise. You are going to have barriers during your races and you have to push through them without letting them slow you down. I’m not a runner, I just jog a little here and there. I run sometimes, but I’m not a runner. I’m too slow to be a runner. I don’t go far enough to be considered a runner. I’m not a runner, I only run a few days a week. Being a runner is a state of mind, not running a certain pace or distance. If you put one foot in front of another, faster than you walk, on a regular basis, when you are not being chased, are not chasing, or late for something, you are a runner. Pace doesn’t have much to do with running. I’ve seen runners who do a 18 minute mile and I’ve seen runners who do a 5 minute mile. It’s not the pace that makes them a runner. It’s their mind. Distance doesn’t have much to do with running either. I’ve seen runners who do 400 meters and I’ve seen runners who do 100 miles. It’s not the distance that makes them a runner. It’s their mind. 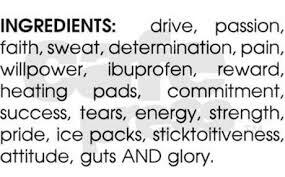 Diet definitely does not make a runner. Any runner, is doing more than the person sitting on the couch. 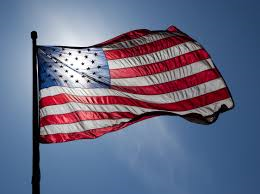 About 10% of the United States population considers themselves runners. It is difficult to measure because people define “being a runner” in different ways. Once you say you’re a runner, other people expect you to run. They invite you to do events, to run with them, or ask about your races and, god forbid, your times! It’s hard at first, I get it, when you first start running with others it’s intimidating. It can be intimidating for experienced runners when they run with others who they know are faster than them. You don’t have to run with other people, if you choose to, you will meet accepting and supportive people. They want to help, share their experiences, and information. It’s best to pick another runner who is a little faster than you to challenge yourself. You don’t have to participate in events to be a runner. But events can be fun. You don’t have to win or set any goal other than to finish. The goal of finish is the best goal to start with. Who cares what your times are, you’re not competing with anyone, but yourself, which makes you a winner every time. 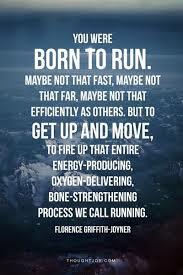 Why call yourself a runner? Because once you do, you are more likely to keep doing it. You’re committed. And that’s when the benefits become a reality. Embrace the label. Say it aloud. 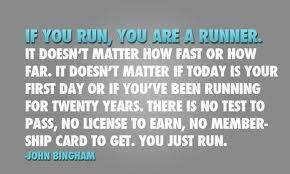 I am a runner. Announce it to the world, I AM A RUNNER! Wanted: Young, skinny, wiry fellows not over eighteen. Must be expert riders, willing to risk death daily. Orphans preferred. The Pony Express Trail in total is 1890 miles long starting in St. Joseph, Missouri, and ending in Sacramento, California. Riders ran the route, relay style, in ten days. It only operated for 18 months, April 1860 until October 1861, before telegraphs replaced it. There were 157 pony stations along the route and each horse ran approximately 10 miles before the rider swapped out horses. There were 500 horses. The horses were not actually ponies. They averaged 14 hands and 200 lbs. There were 80 riders. Each rider rode between 70-100 miles of the route and could not weigh more than 125 lbs. William Cody, aka Buffalo Bill, was the most famous rider. He helped build some of the stations, and then was hired as a rider at age 15. He made one of the longest runs when his replacement rider was killed by Indians. He rode 322 miles nonstop over 21 hours 40 minutes. Robert Haslam was also a well-known rider. He ran 120 miles in 8 hours and 20 minutes, while wounded, carrying President Lincoln’s inaugural address. He also made the return trip after nine hours of rest. When he arrived back where he started, Indians had killed the stationmaster, so he continued and rode 380 miles. 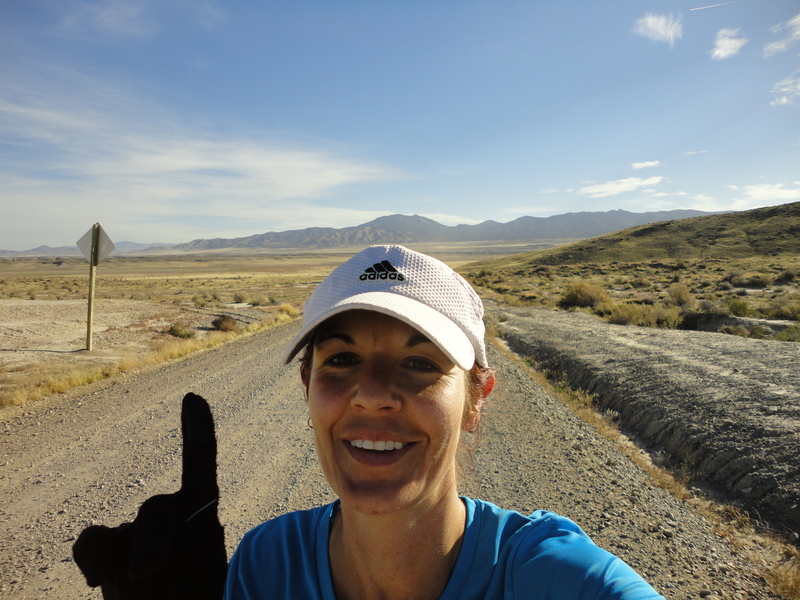 It took a lot of grit to be a Pony Express rider, and the ultrarunners who run the Pony Express 100 capture the same spirit. The sun light fell on the earth like opening the blinds on the first morning of spring. 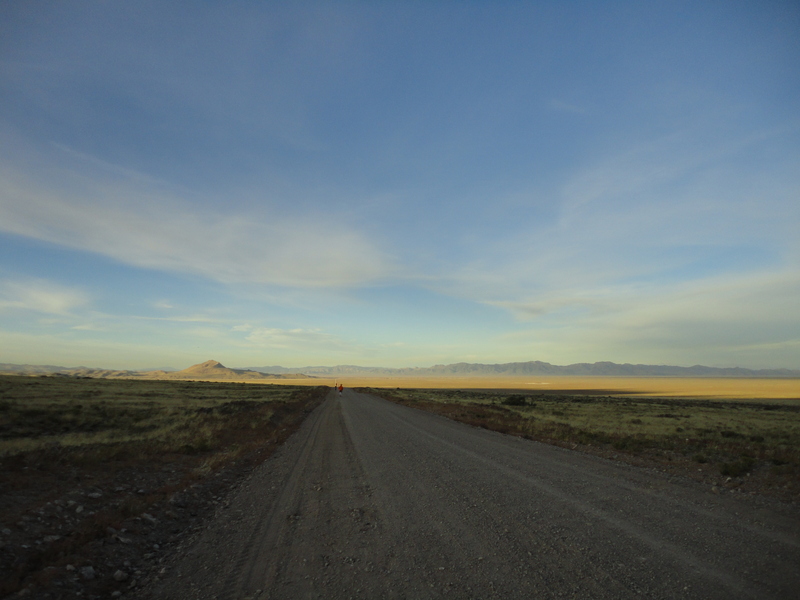 A dust cloud moved across the flat open land planted with anthills and sagebrush. White and chestnut wild horses emerge from the dust. They toss their mains and their nostrils flare as they come to a stop before cantering across the rocky road to take up the run on the side among the splotches of red, brown, and yellow across the plain and toward the peaks jutting from the ground. The Pony Express 100 is an amazing experience because of the history and the unique setup of the race. Knowing the stories of the riders and stationmaster of each of the stations you run through brings the sagebrush and anthill strewn land alive. Part of the Pony experience is bringing your own crew to act as your stationmasters. They help you change out your gear and keep hydrated in the desert sun. Pony Express is the most family and friend involved 100-mile event out there. They can see you at any time, your crew can reach you whenever you need, and you can have a pacer at any point by bike or on foot. The race is held over fall break, so kids are out of school and can participate or not as much as their age and demeanor allow. There is only one aid station along the 100-mile route. It’s at mile 50. There you will find Davey Crockett, the race director, handing out metals to the fifty-mile finishers. Argentine barbeque is dished up for all the runners and their crew and each bite alone is worth the 50-mile trek. Davey makes the race better every year. This year he added “nearly” real time tracking on the internet. That may not seem like a huge deal in this day and age, but if you know where the Pony Express is held you begin to appreciate the difficulty of doing that. Cellular service dwindles to one or two providers at Lookout Pass. Once you reach Dugway Pass, it’s a dead zone. There is nothing, but ham radios and (in my experience) spotty satellite phone reception. My dad and I woke up at 3:30 a.m., and snuck out of the camp trailer leaving my mom and my thirteen-year-old son, Sky, asleep. We dodged cottontails on the dirt road as we drove the 16 miles from camp to the starting line at Lookout Pass. 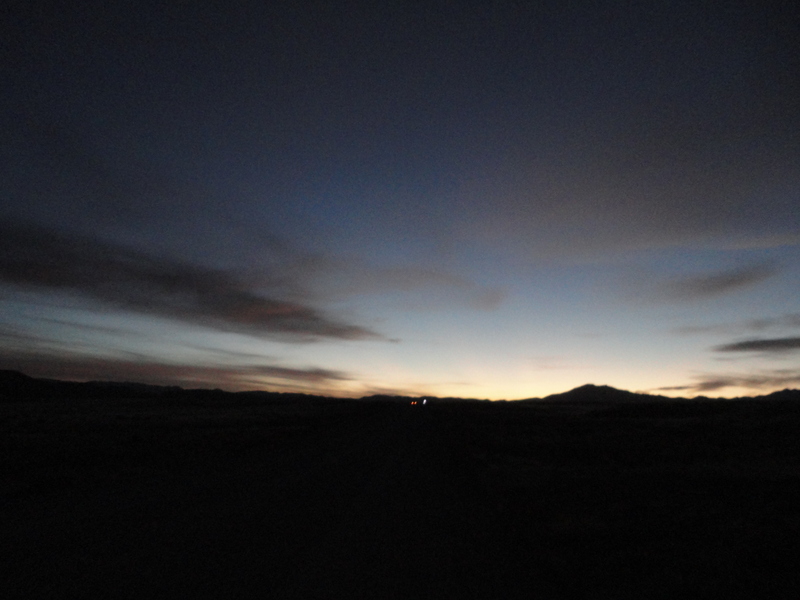 I began my 100-mile journey along the Pony Express route at 5:00 am. It was about forty degrees Fahrenheit. Starting times are staggered at 5, 6, 7, and 8 a.m.
My dad met me at mile five. He filed my handheld with water and took my jacket. 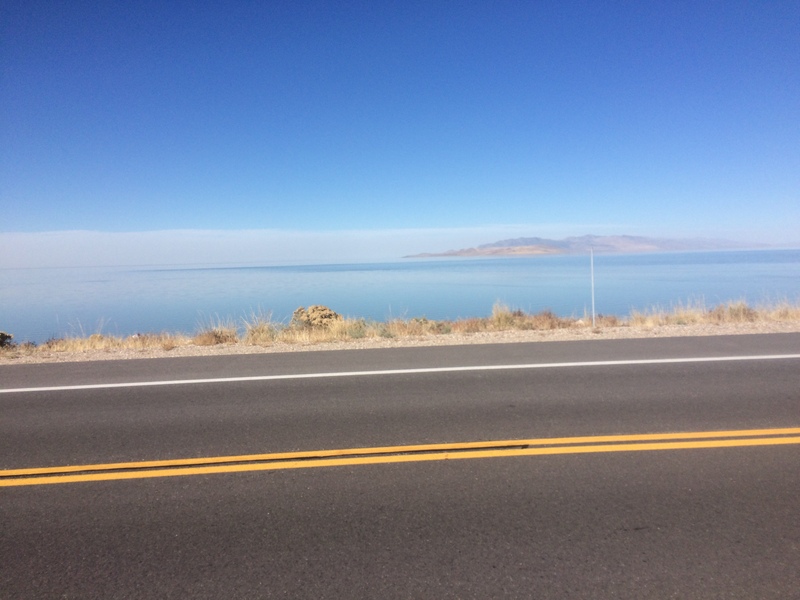 I ran the first ten miles or so with the race director of Salt Flats 100, Vince, and a few other guys. We talked about the epic storm at Salt Flats 100. Vince said he talked to the Bureau of Land Management who said that it was one of those storms that only happens every one hundred years. He went out to pick up the port-o-potties on Wednesday after the race and the wind had pushed them 2.5 miles. While I ran, my dad went back to the trailer to get some breakfast. He met me just outside our camp at Simpson Springs (mile 16.5) by then I was the second runner. Ahead of me was the Jester, who I would get to know as we played leapfrog over the next 50 miles. I remained first or second runner until about mile 92 when Sherrie Shaw (First place 20:15) passed me. She had started at 8 a.m. The Jester, Ed, has run eighty-three 100-mile races. He is attempting to break the world record for most 100s in a year. Pony Express was his 30th 100 of the year breaking the men’s world record of 29. He had to finish Pony in 22 hours to make his flight to California to run another 100 Sunday! The women’s world record is 36, which Ed intended to beat by four races. He finished in 21 hours and 42 minutes. one marathon finished, three to go. We saw the wild horses along the course between the Riverbed Station and Topaz Well. They were off in the distance, but still such an inspiration. My dad met me every five miles, making sure I had everything I needed. We reached Blackrock Station, mile 48 at 2:30 p.m. From there we went ten miles out to Fish Springs (the turnaround) and then back to Blackrock (68 miles), which we reached at 7:30.
two marathons finished, two to go. We met up with my night crew, Swiss Miss and Larry, around mile 62. Miss’s cousin, Jon, was a surprise crewmember along with his charge, the puppy Constantine. I was so grateful to see them, because I was struggling at that point in the race. 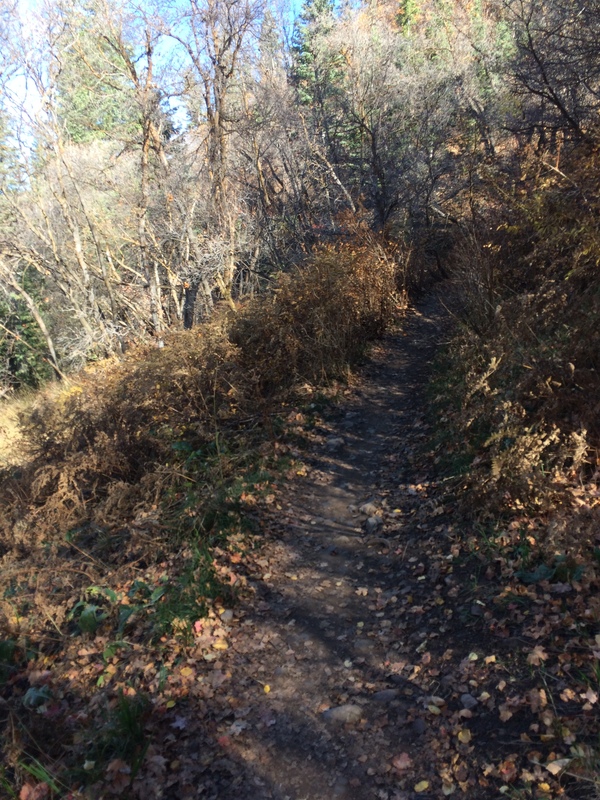 I had given a lot up to that point and I knew I would have to slow down to be able to finish. Miss paced me for the next 15 miles alternating between walking and running. Jon and Constantine paced on their bike on and off with Miss. She was wonderful. She told me all the things I had missed since I had come out to the starting line: Friends getting engaged and busting sneaking domestic violence perpetrators in closets. Melissa and Larry were supposed to take over crewing for the night shift, so my dad could sleep, but my dad wanted to stay on and see me through to the end. I marvel at how much my relationship with my dad has changed over the years. When I was a teen, we could barely stand the sight of one another and now he is my crew chief for the Pony Express 100 catering to my needs every few miles. Three marathons finished, one to go. We were way ahead of schedule. I called J$ on the satellite phone to find out where he was. We spoke for a minute before the phone cut off. 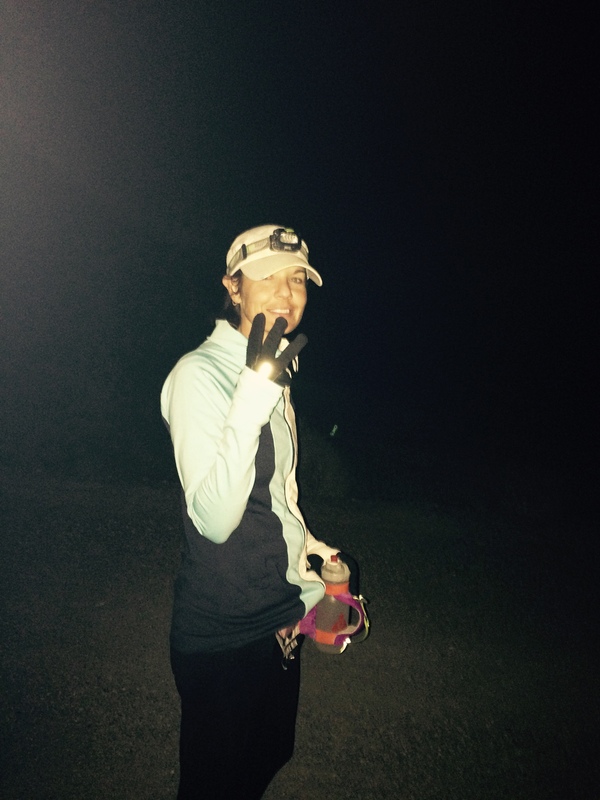 He met us at mile 78 at about 11:00 p.m. and took over pacing duty from Swiss Miss. We had our crew meeting us every three miles. It was very dark. The moon was hidden behind the surrounding mountains. My calves were tight causing pain on the inside of my left knee. J$ rubbed them out every three miles. At each stop, they had a chair out waiting for me and something warm to drink as the temperatures dropped. My dad and Larry made broth and coffee through the night. J$ and I would see our crew stopped on the side of the road ahead of us. Each time, we would think, “Oh, they’re only a quarter mile away.” And each time, they would get farther and farther away, the closer we got. They swore they were not moving. I’m not convinced. By the time we got to 95 miles, I was ready to be finished. I was seeing three moons in the sky and the stars were clusters of dots rather than one single star. I saw signs on the side of the road that disappeared by the time we reached them. After 24 hours and 15 minutes, I crossed the finish line of the Pony Express 100.